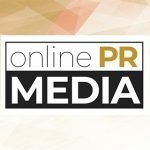 Online PR News – 17-February-2011 – – Las Vegas, NV--Colorado based photographer Sandy Puc' and acclaimed wedding photographer Jerry Ghionis will be in Las Vegas on February 19 to share their expertise in photography and marketing with the Power of Passion Tour. The tour kicked off in Denver on February 12 and will be stopping in 32 cities across the United States, Canada and Europe. The seminar that covers the next level of wedding photography and how to market your business not only has enlivened the crowd in Denver, but had the power to bring them to tears. Both photographers emanate confidence with their craft and their ability to empower other photographers to challenge themselves and apply new techniques to their business. R.J. Kern, a Colorado-based wedding photographer, said, "This is stuff that takes decades of experience that money can't buy. Sandy rocks marketing and Jerry knows how to make anyone feel and look beautiful. Both are fine arts to behold and learn from." Puc' and Ghionis' onstage presence is impossible to ignore and the attendees leave with a renowned sense of excitement and inspiration for their craft. Puc' and Ghionis share their skills and expertise during the five hour show with unmatched enthusiasm, humor and enlightenment. The seminar covers wedding photography essentials along with direct and indirect marketing techniques that keep your clients coming back time and time again. "Sharing my passion for photography is my life and having a partner like Jerry who is also full of enthusiasm for his craft will create a great atmosphere for the Las Vegas show. We both love to inspire photographers to take their business to the next level," Puc' said of her upcoming stop in Las Vegas. This is the first time Puc' and Ghionis have teamed up for a seminar that combines the masterful techniques to wedding photography and fundamental marketing tactics. Their stop in Las Vegas also coincides with the event going on for WPPI (Wedding & Portrait Photographers International), Puc' will have a booth at WPPI and will be giving out free $25 gift certificates to Ukandu, Puc's marketing practice. For more information on the tour, tour dates or how to register please visit http://www.powerofpassion.sandypuctours.com. For the Power of Passion Tour use the code PRE11 when registering online for a $20 discount. Jerry Ghionis is the only Australian named as one of the Top Ten Wedding Photographers in the World by American Photo magazine and one of 13 "Icons of Imaging" named by Microsoft. In February 2009 Jerry won the WPPI (Wedding & Portrait Photographers International) Wedding Album of the Year for a record sixth time to add to his long list of accolades. NILMDTS is a 501c3 non-profit organization committed to assisting parents and families going through the difficult experience of an early infant loss. NILMDTS connects families with photographers and provides them with a DVD and reproducible CD of the images of their baby.